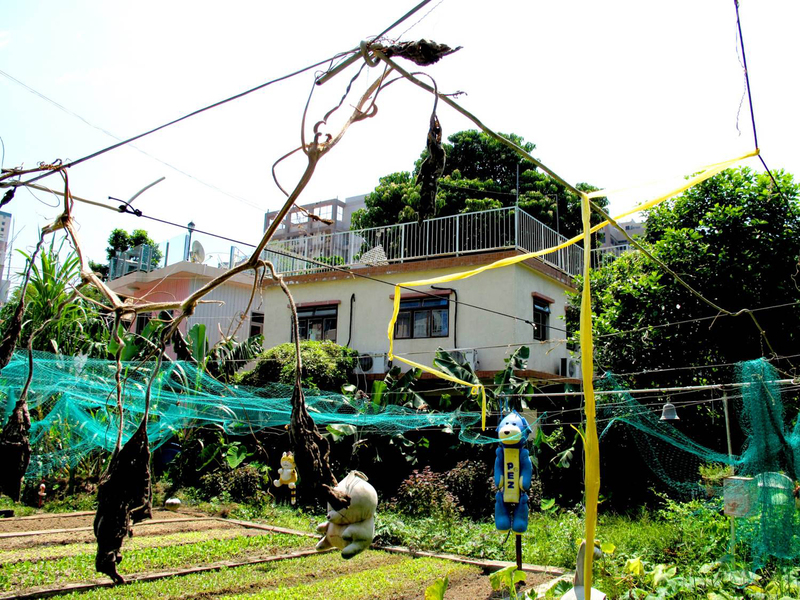 Pok Fu Lam Village has its own unique and intrinsic wire network which connects different houses in an intrusive way. 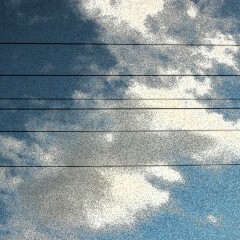 It is very common to see all kinds of linear structures when you look up in the air. 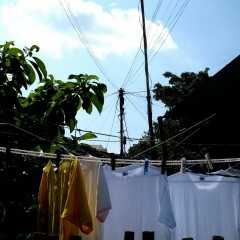 Electric Poles and satellite adaptor are scattered all over the village randomly which indicate different spots. 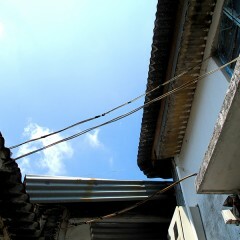 Meanwhile, almost all houses in the village is short and individually built. As the wires extend from those spots and link to every single house, they invisibly create a stilted network subtly link up the whole village. The cluster of electric wire web are packed in a messy way which to some extend it responses to and matches with the intricate house location. The public wire system is embedded into the private space in an unnoticed way. 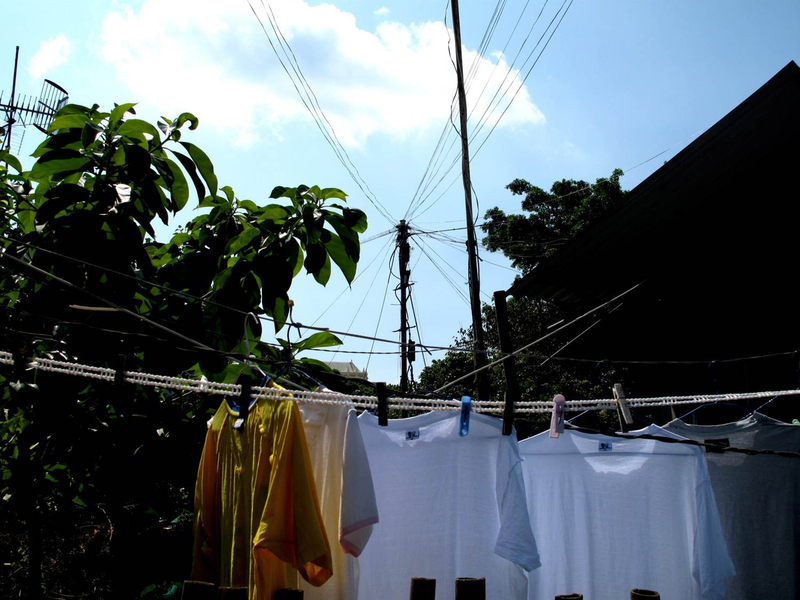 Although the electric wire is a public system, it is not difficult to see villagers make use of the wires to create private spaces, for instance, some of them uses the wire as a clothing hanger to dry the clothes in sunshine. This is mainly because there are restricted space for putting large airier while ropes and strings are cheap and useful material to perform same function. 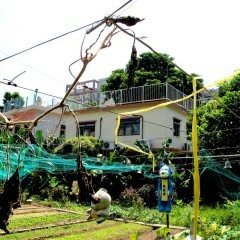 Furthermore, some villagers make use of the wire to weave a net for hanging things in order to protect crops in farm, which is also a wise private use of public wire network. 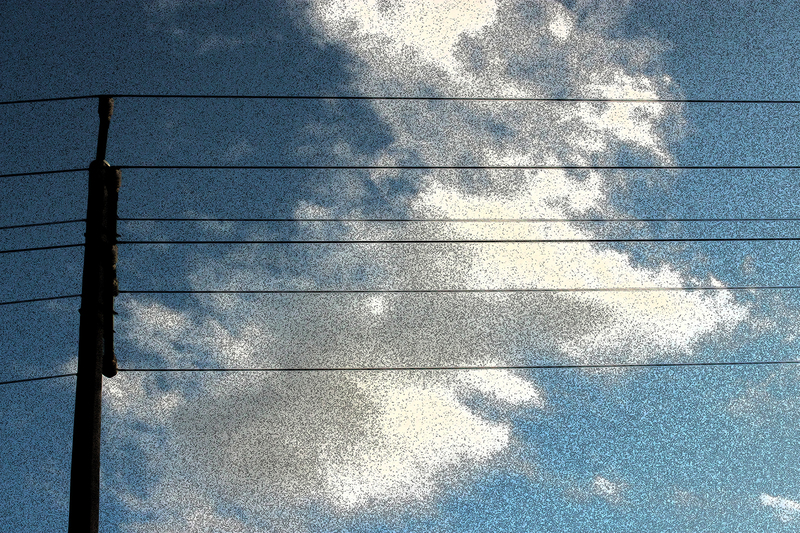 Due to the diversity of wires, spaces can be separated into various parts in both horizontal and vertical sense. 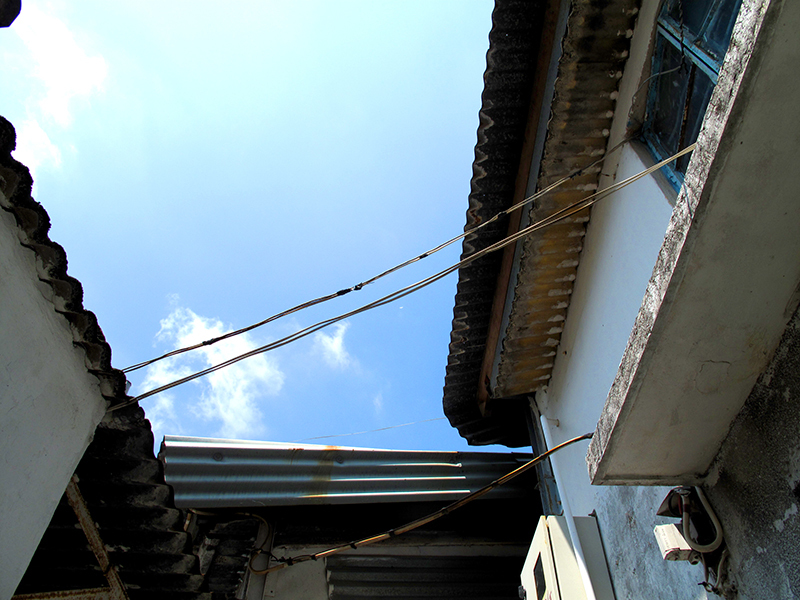 When wires are placed along horizontal plane, the wires set up a canopy that cover certain area which gives indication of the land ownership. Nevertheless, when wires are placed along vertical plane, it acts as a fence or invisible wall which divides distinct area.